A bit dark pictures this time due to the bad lighting conditions. 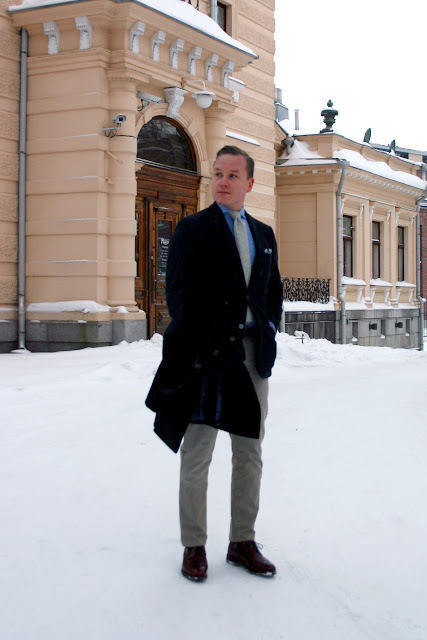 A quite casual look with semi-dark khaki chinos I posted about yesterday. Can't really see them that much in this, but no complaints after the first wear. I had them tailored to my usual measures. Navy peacoat, navy jacket, blue houndstooth spread collar shirt, heavy cotton chinos and brown longwings. 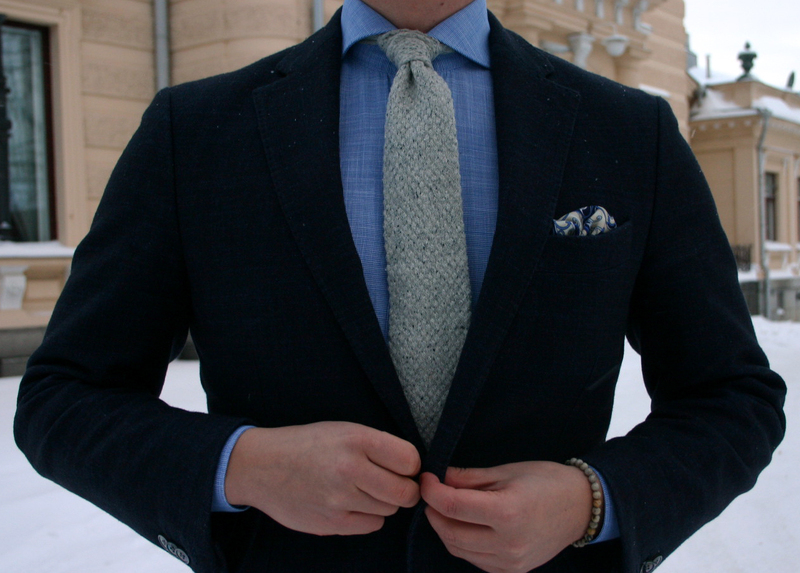 Details include a Berg & Berg donegal wool knit tie and a wool pocketsquare, Equus Leather bridle leather belt, sandstone bracelet and brown heavy wool socks. Wearing lighter color ties is always slightly challenging, and the way I like to wear them is usually a slightly darker (never dark) shirt than the tie. Really like the combo of the tie, pocket square and the bracelet here. Both colors and textures work together extremely well. 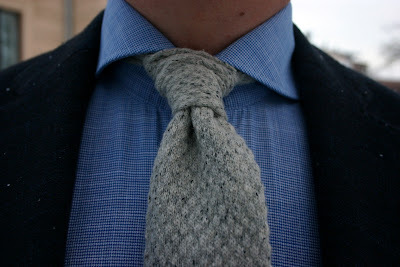 A bit hasty knot, but the way this one ties is quite similar to silk knit ties. The thickness is about the same and the only difference is really that the material stretches a bit and is softer. 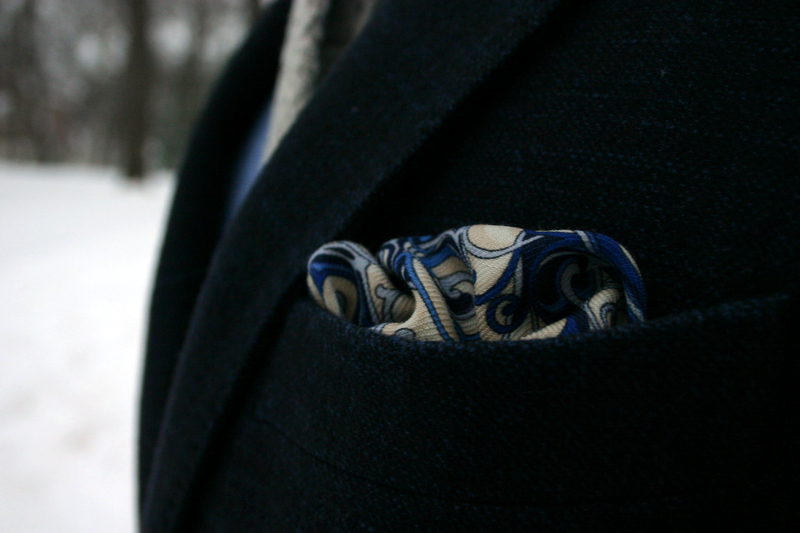 Wool square from Berg & Berg.